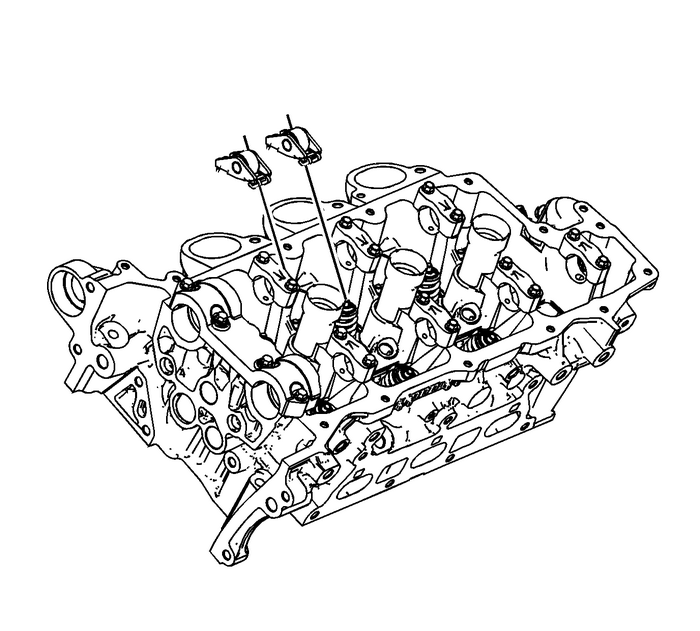 Apply a liberal amount of lubricant to the pivotpocket-(1), roller-(2) and valveslot-(3) areas of the camshaft followers. Refer toAdhesives, Fluids, Lubricants, and Sealersfor recommendedlubricant. Note:The follower must be positioned squarely on the valve tip sothat the full width of the roller will completely contact thecamshaft lobe. If the followers are being reused you must put themback in their original location. 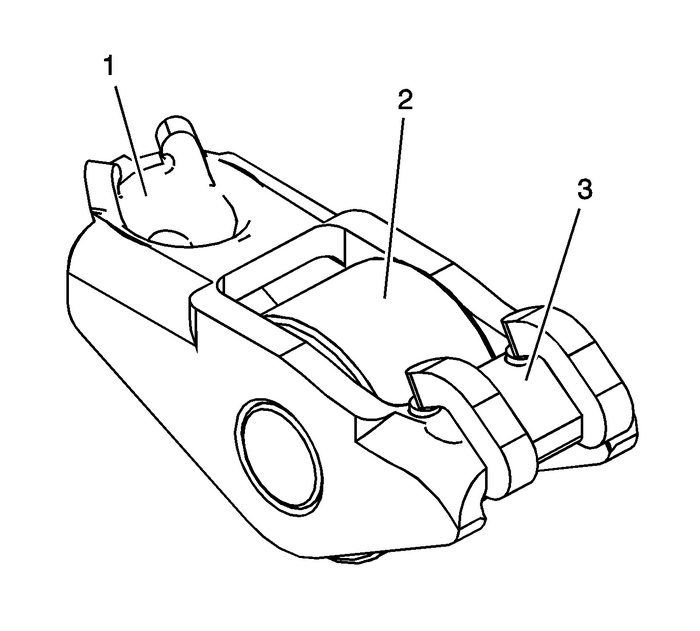 Place the camshaft followers in position on the valve tip andstationary hydraulic lash adjuster (SHLA).The rounded head end of the follower goes on the SHLA whilethe flat end goes on the valve tip.Clean the camshaft journals and carriers with a clean,lint-free cloth.